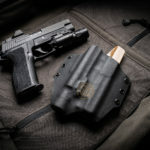 If you selected a canted holster above, we need to know if you have, or are planning on adding, an RDS to your pistol. If so, please select the checkbox so your holster with fit with the RDS on your pistol. 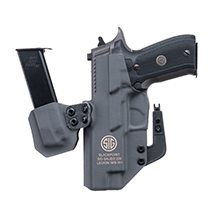 The SIG Exclusive OWB Light Mounted (LM) holster was developed by BlackPoint Tactical in collaboration with SIG SAUER® to be a low profile, outside the waistband holster that is comfortable, rugged, quick to deploy, and permits the carry of a weapon mounted light or laser. To accomplish these goals, the SIG OWB holster was re-designed for 2018. The bottom corners of the holster were removed which reduced the overall length and width of the holster. 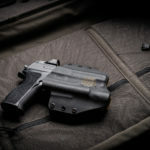 These changes helped eliminate a potential point of discomfort (where the lower corners of the holster dig into the hip) while retaining the side attachment points for the belt loops. 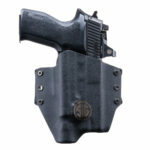 The Light Mounted version of this holster allows the user to carry their choice of pistol mounted light or laser in their holster. 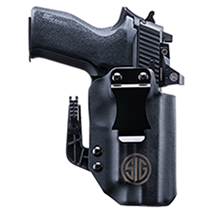 The SIG Exclusive OWB Light Mounted Holsters are built to fit a specific light or laser accessory. They are available to fit the SIG SAUER® Foxtrot flashlight, Lima Laser, and options from several other manufacturers. 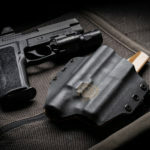 The side mounting points help reduce the overall thickness of the holster and ensures that the holster rides tight to the body which makes the holster is easy to conceal. 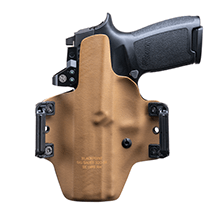 Additionally, the side mounting points maximizes the width of the contact points (within the narrow holster profile) between the holster and the belt which makes the overall platform more stable. 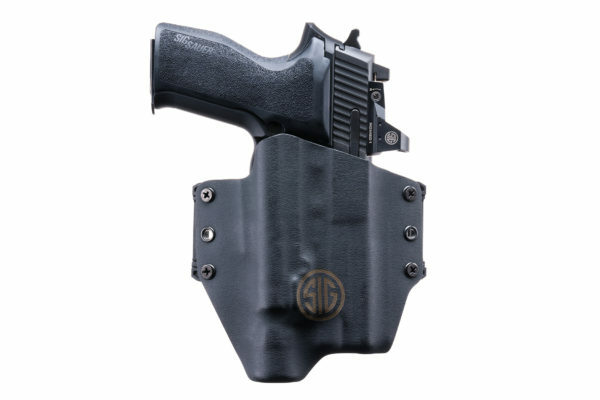 The SIG OWB holster uses our proprietary Step Loops™, which allow the customer to use either a 1.5” or 1.75” belt securely without having to make any changes to the loops. They are constructed from a high strength polymer that is extremely durable and feature a locking tab for the t-nuts securing the loop, so they fit flush while being easy to remove should the need arise. 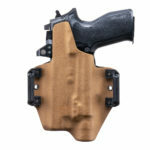 The holster has a factory RDS cut to allow the use of SIG Romeo optics where applicable. These proprietary loops hold the holster close to the body and accommodate both 1.5" & 1.75" belts in the same loop. These holsters are built with a factory RDS cut so they are compatible with optics, like the SIG Romeo.